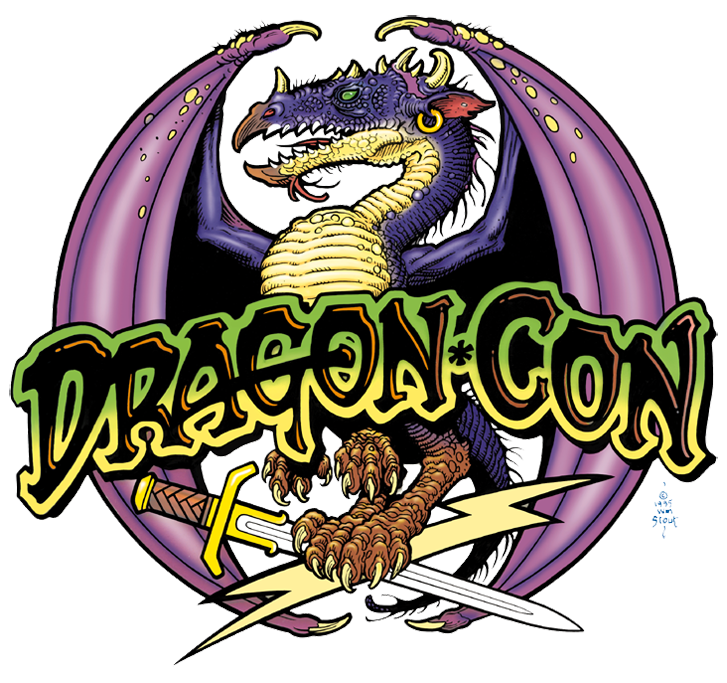 This Friday is the beginning of the 2013 Dragon*Con in Atlanta, Georgia! 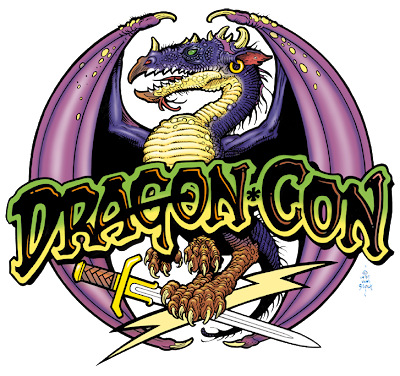 DragonCon is the world's largest SF/F convention. Attracting more than 50,000 visitors, it is the definitive convention for cosplay enthusiasts. It also has a incredibly impressive art show, attracting SFF/F artists from all over the world, including many of our friends here on Muddy Colors. And that is just the art show. 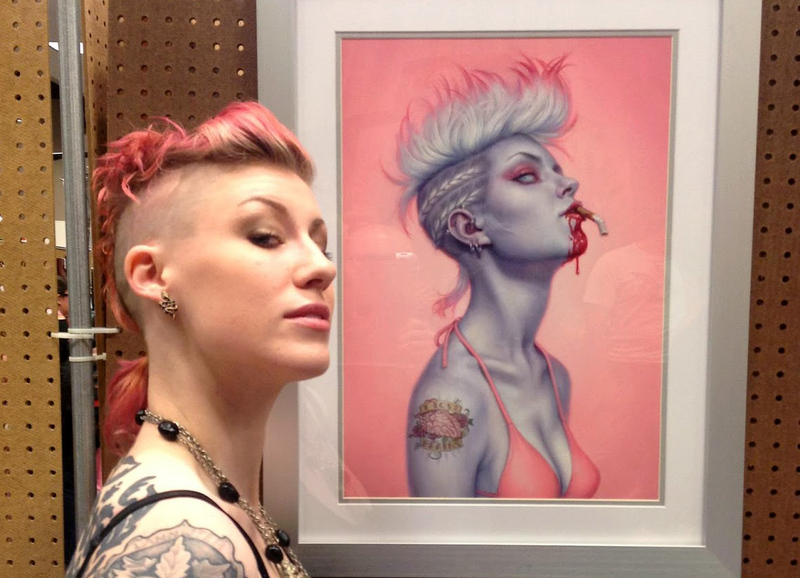 'Comic Alley' boasts an equally impressive list artists from that genre as well. In addition to exhibiting original works, and selling prints, many Artists will be partaking in panel discussions and doing live demos. On Monday, I will be doing a live demo. I will be painting a portrait from life of ComicBookGirl19, the model who poses for my White Trash Zombie series. questions while he paints one of his favorite models, ComicbookGirl19. Also on Monday, Justin Gerard and Annie Stegg will also be doing a demo. Here is a small sampling of some of the other programs and demos throughout the weekend that may of interest to our readers. 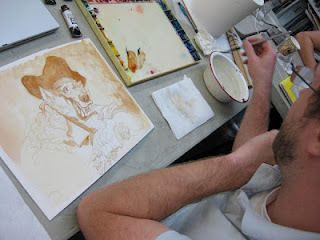 The artist creates a watercolor painting from start and finishes with a Q&A. The art will be auctioned for charity. Tips and methods to improve creative image making by understanding and applying the basic raw materials of visual construction. CPA and artist Christy Nicholas explains how to be sure you don’t pay all those nonexistent art profits in taxes. A step-by-step overview of procedures and timetables for development of a professional illustration assignment. A tutorial on sculpting all sorts of creatures both real and imaginary from a variety of mediums from the armature up. So stop into the Art Show and say 'Hi' to all of us! We hope to see you there!